Heading into their first season with Ducati, Team Goeleven have decided to equip their all-new Panigale V4 R, the lastest weapon of the Bologna-based manufacturer, with Bitubo suspensions. 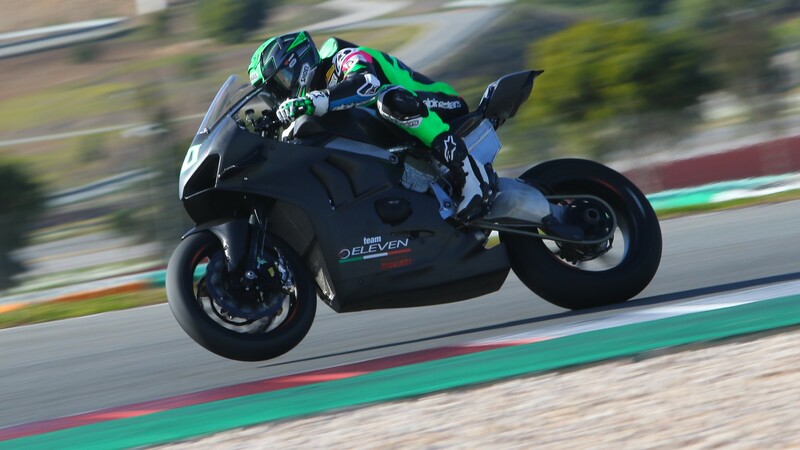 The decision was made after the four days of testing held at the end of January at Jerez and Portimao, where Eugene Laverty was able to test the new suspensions of the Italian producer delivering reassuring feedbacks to his crew. “I was surprised by the Bitubo fork. I immediately found a wonderful feeling with it. 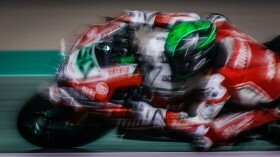 It allows me to brake hard and be fast in entry corner, I think this is a strong point for us now” commented Laverty. “Now we are focusing on the feeling with the rear wheel, we must find the right balance of the bike. As soon as I installed the Bitubo monoshock at Jerez, we had some problems in the early stages, but then the Bitubo technicians did a great job and in just two sessions the mono worked well. We decided, therefore, to continue the process of harmony in Portimao, a track with many holes that forced us to work in the worst possible conditions. The tests are for this. I think the potential we have is much higher, so I decided to promote Bitubo”. Delighted to welcome the new technical partner, Denis Sacchetti, Team Goeleven team manager gave his opinion about their off-season: “We are very happy about the work we have done over the winter. Bitubo has created a completely customized product for us in a very short time. Of course, there are still some aspects that we need to improve, but the base we have is already excellent. Portimao test had been very useful for us. We gathered a lot of information and now we are making our final preparations for the new season”. Working alongside Team Goeleven for 2019, Bitubo aim to be able to produce a good suspension kit for the brand-new Ducati Panigale V4 R, as Giorgia Mardollo – Bitubo Manager commented: “We have been immediately interested in working with Team Goeleven to produce a fork and a mono-shock for their Ducati Panigale V4 R. We are eager to work with such a talented rider as Eugene Laverty and such an innovative bike like the new Ducati. The first feedback was positive, and it is a good motivation for us to continue with the development to reach our goals”. Follow Eugene Laverty and Team Goeleven developing the new suspension for the Panigale V4 R during the 2019 MOTUL FIM Superbike World Championship season, all with the WorldSBK VideoPass. Laverty: "I’ve been counting down the days until my first ride on the V4 R"
Laverty: "It couldn’t come at a better time"